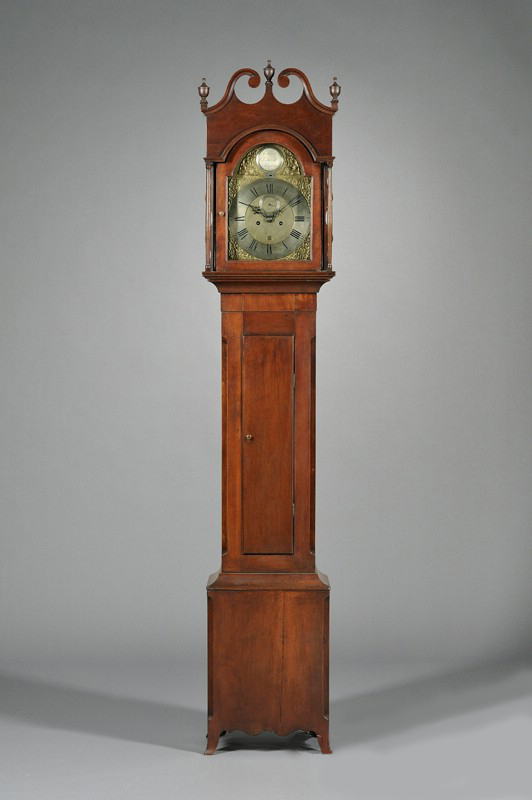 Mahogany tall case clock with brass dial. Signed William Jourdain, London. Circa 1765. 18"w x 12"d x 96"h.